To get both value and enjoyment from twitter, you need to follow people and organisations that keep you updated on matters that are of interest to you. For example if it’s sport you like, there are some great sport pundits such as @mark_keohane, @followthebounce, @siasduplessis and many more, Who tweet regularly. The social networking aspect of it also has its merits. It’s a lot fun to engage with people by replying to their tweets and posting your opinions. In saying that, social networking isn’t for everybody and many twitter users choose not to engage, but use it solely as means of keeping themselves updated on whatever it is that grabs their fancy, premier league scores, breaking news etc. If you follow the news sites such as Eye Witness News (@ewnupdates), as the stories break, you have it coming through and admittedly when something big happens, like the Oslo attacks, it’s difficult to pull yourself away . Although Twitter can be accessed by computer, it is essentially geared for mobile phones so if you do have a smart phone with an unlimited data bundle, there is no cost involved. Master Builders KwaZulu-Natal has introduced a twitter feed (@MasterBuilders2) which as of today, will be updated regularly. 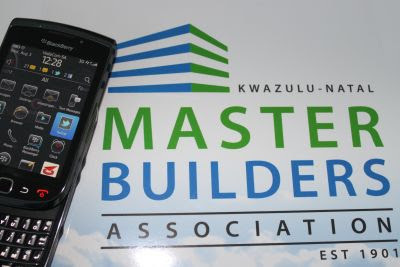 It provides an alternative medium with which to access construction industry and Association related news, and is essentially another means by which Master Builders KwaZulu-Natal, is servicing its members. What is a Disabling Injury? How is the Association different from NHBRC?